HealthCloudPOL provides the ability to view Audit Trail data. The Audit Trail is a central repository list of all edited testing results that have been flagged as auditable during Test definition. The Audit Trail function helps to fulfill many regulatory and standards compliance requirements. Navigate to the Audit Trail menu item. 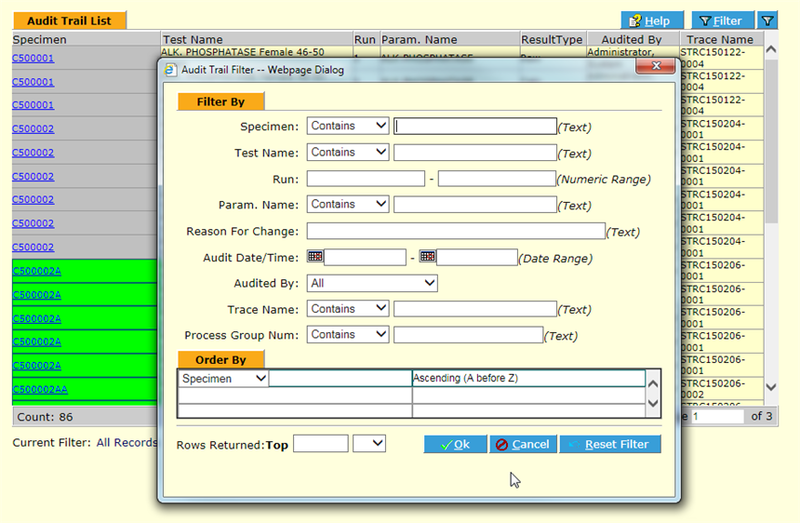 The Audit Trail List screen displays all Audit Trail records in the system. You can use the HCPOL Filter tool to search for specific records. When you are finished viewing Audit Trail records, click Done .